I stopped by Joann’s to pick up a few things and was I ever pleasantly surprised to see that they now are caring the Prima line of products. I think I did a happy dance in the aisle. Of course it was short lived because one of the boys disappeared around an aisle and I had to locate him before partaking in the goodies I had found. Once I located my precious boy, I stood before all of the lovely Prima products. This is the Labelle Jade handmade flowers and some metal clips. Oh I really love the colors they have for these beautiful handmade flowers. They are screaming a cool autumnal project to me. My friend Joan will smile when she sees these butterfly clips because she knows how much I love butterflies. So she will understand me dancing in the aisle of a store when I saw these cute paper clips. I will definitely be using them on some cards and craft projects. The size is a about 1×1 1/2″ so they will look great on a lot of things. 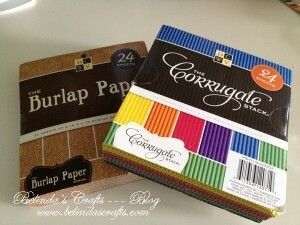 New DCWV paper: Burlap and Corrugated! 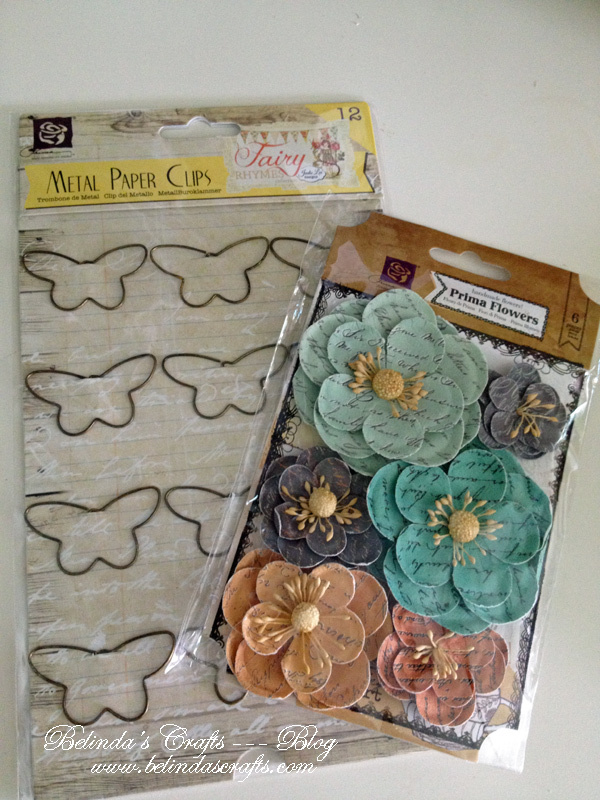 So the new DCWV papers is why I was going to visit Joanns in the first place. I can’t tell you how cool the burlap paper is except that I have been taking time to run my fingers on it quite often since I bought it. I can see endless fall projects using this paper. Oh and it is acid free too so no worries using it in scrapbook albums. The corrugated paper comes in six different colors as seen on the cover and I am going to have a bunch of fun using them. 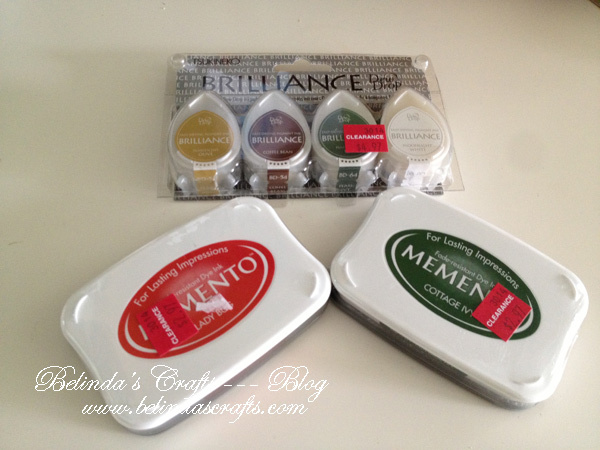 Momento and Brilliance inks on clearance! Momento and Brilliance inks on clearance, what more can a girl ask for? The Momento sold for $2.97 each and the 4-pack of Brilliance inks was $4.97. The colors I bought in the 4-pack are: Moonlight White,Pearl Ivy, Coffee Bean, and Pearl olive. Great fall and winter colors. 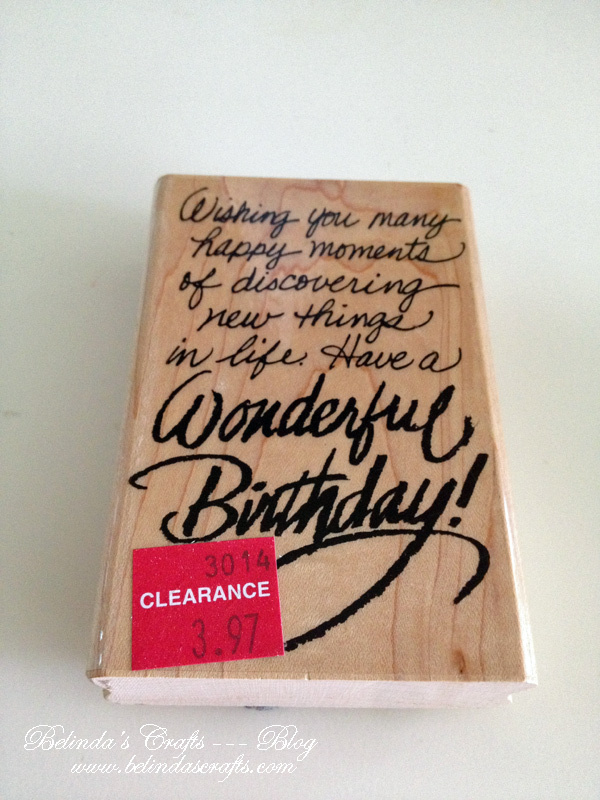 A great birthday stamp on clearance! 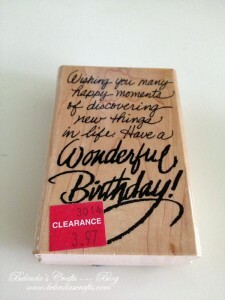 This year, I am on the hunt for great sentiment stamps and when I saw this great birthday stamp for less than $4, I had to have it. It is a great size for cards and the font is really pretty. 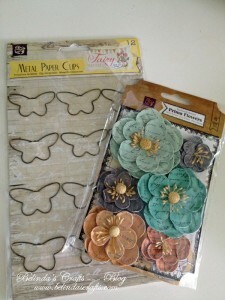 So now you can see why I was doing my happy dance in the craft aisle at Joann’s!! !